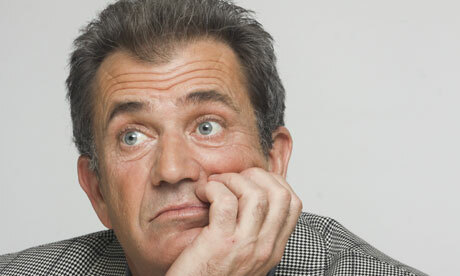 Mel Gibson has been accused of "hating Jews" by the writer of "Basic Instinct"
Joe Eszter has launched a scathing attack on Mel claiming he sabotaged a movie they had planned together, 'The Maccabees' - which tells the story of Judah Maccabee, a Jew who led a revolt against the Seleucid Empire - because he is anti-Semitic. In part of a nine page letter, he wrote: "I've come to the conclusion that you never had, or have, any intention of making a film about the Maccabees. "I believe you announced the project with great fanfare - 'a Jewish Braveheart' - in an attempt to deflect continuing charges of anti-Semitism which have dogged you. "I've come to the conclusion that the reason you won't make 'The Maccabees' is the ugliest possible one. You hate Jews." Joe further claims the actor-and-director was happy when Beatles legend John Lennnon was shot and killed in 1980 because he had a messiah complex and also accuses him of denying the holocaust and repeatedly calling Jews "oven dodgers". However, Mel has been quick to hit back, claiming he had been developing the project for a decade before Joe became involved, and slamming the 'Showgirls' writer's first draft of the script. He said: "'I absolutely want to make this movie; it's just that neither [studio] Warner Brothers nor I want to make this movie based on your script. "Honestly, Joe, not only was the script delivered later than you promised, both Warner Brothers and I were extraordinarily disappointed with the draft. In 25 years of script development I have never seen a more substandard first draft or a more significant waste of time. "The decision not to proceed with you was based on the quality of your script, not on any other factor. "I think that we can agree that this should be our last communication."